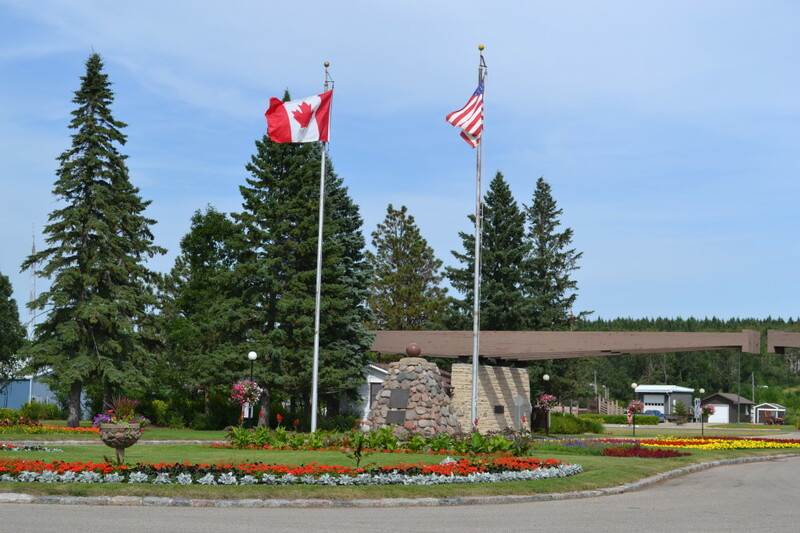 As you enter the Peace Gardens, the first item of note is the Cairn (pictured below), made of native stones and set along the borderline between the flags of each country. This was the first item installed here back in 1932 when the Peace Gardens were first dedicated. The 9/11 Memorial. 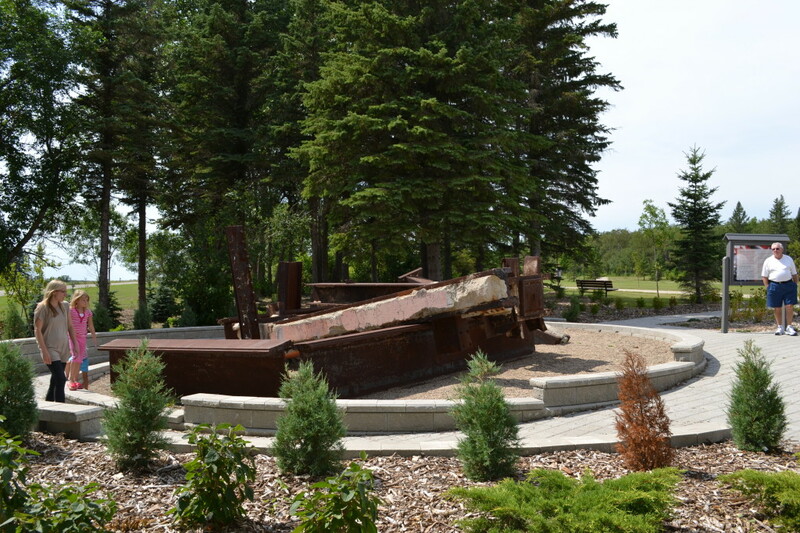 In May of 2002, ten steel girders from the 9/11 wreckage were brought to the Peace Garden in memory of those who lost their lives due to some cowardly terrorists. 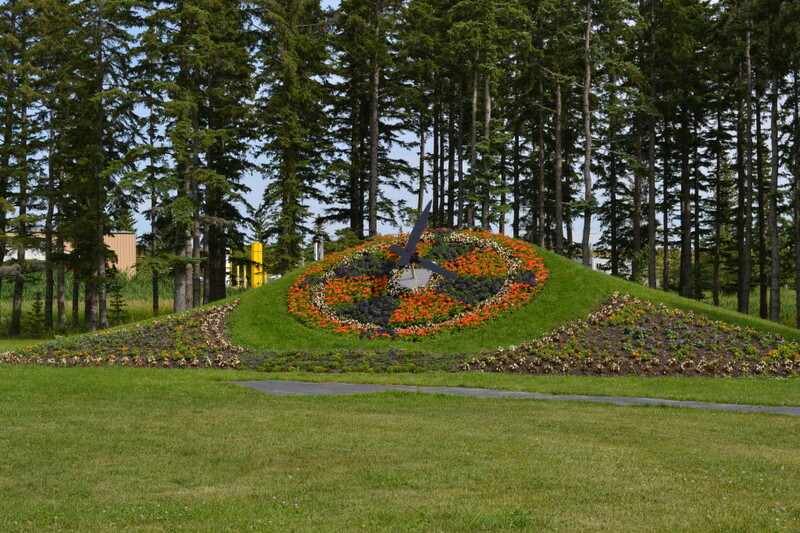 The Floral Clock is another popular feature of the park. 18-feet in diameter, it displays a new floral design each year. The original clock was was recieved from the Bulova Watch Company in Switzerland in 1966 but replaced in 2005 by a new one from St. Louis, MO. 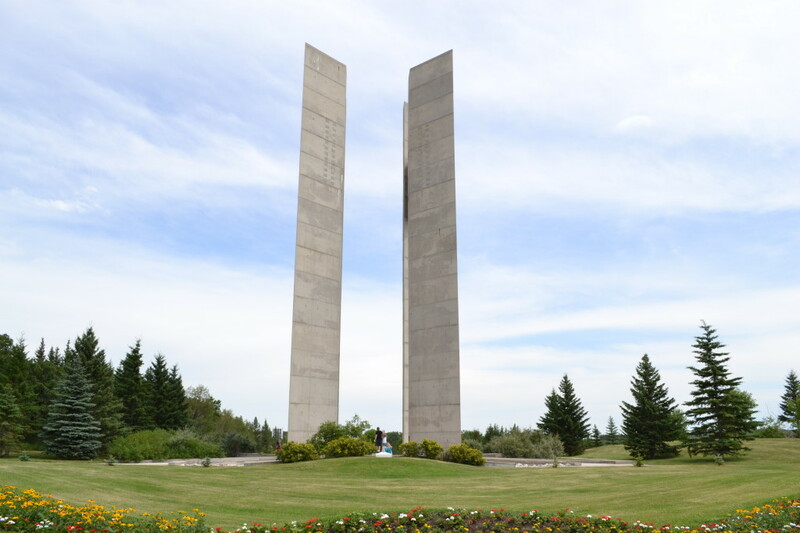 Anchoring the far end of the Peace Gardens is the Peace Tower, Four identical concrete columns that stand 120-feet high, two on each side of the border. They can be seen from most places in the park. 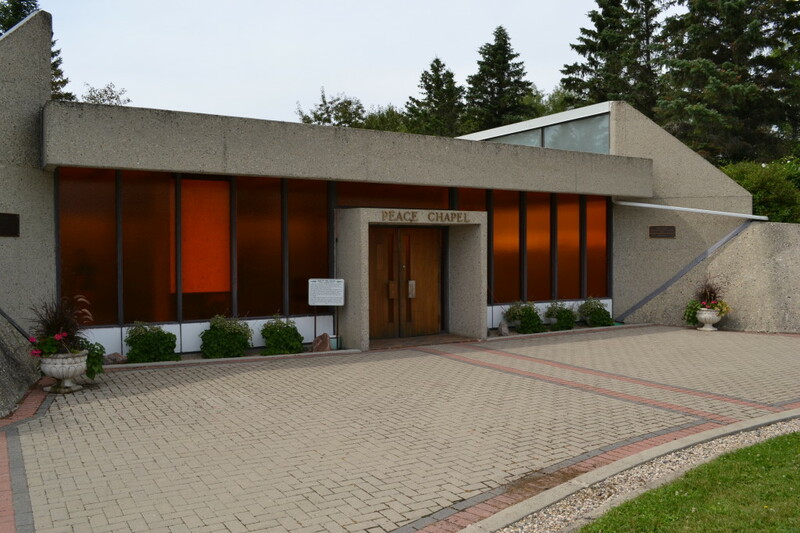 Near the base is the Peace Chapel, seen below. 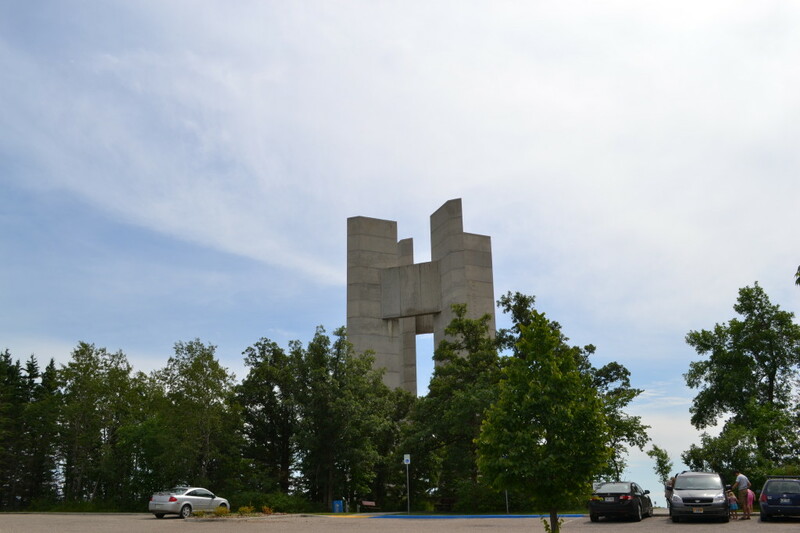 This is the only structure here that straddles across the border. 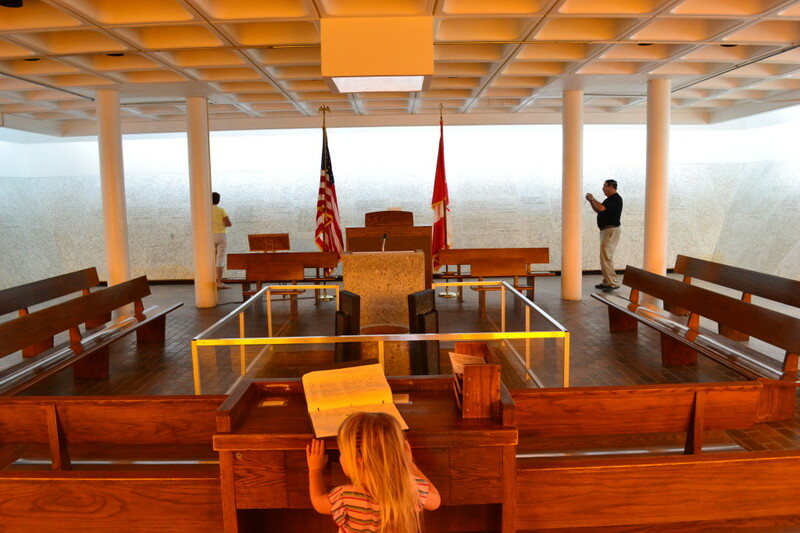 The chapel walls are inscribed with many different quotes about peace. 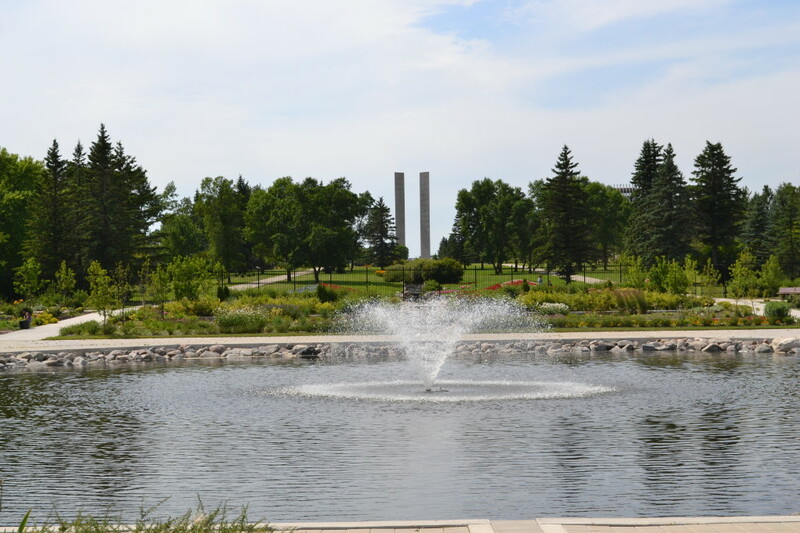 Pictured below are a couple scenes from the Formal Gardens, which are at the center of the Peace Gardens Park. There are several fountains, reflecting pools, and many different floral arrangements. 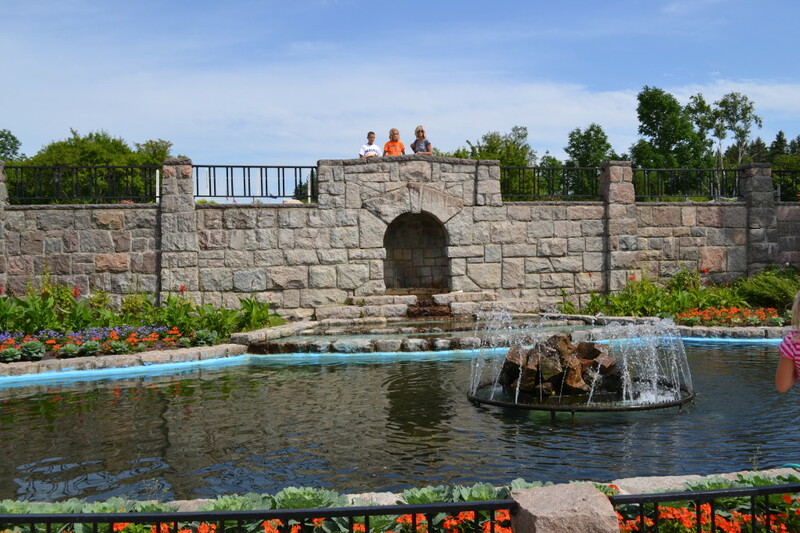 The Peace Gardens also features a sizable Interpretive Center with restaurant, a cactus garden, the State Game Warden Museum, sunken gardens, Canadian and American floral flags, a Cascade Panel (terraced stream through the center area), and many other features for you to discover on your own. 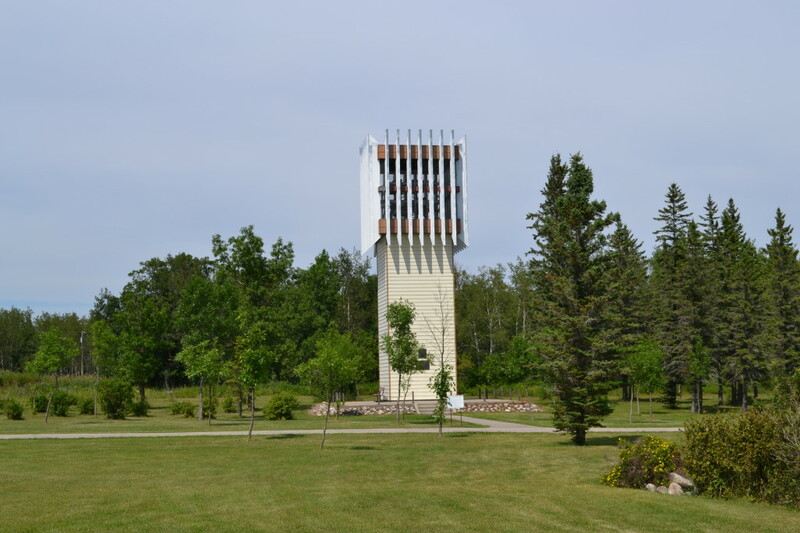 Many North Dakotans remember going to International Music Camp here back in the day as well. 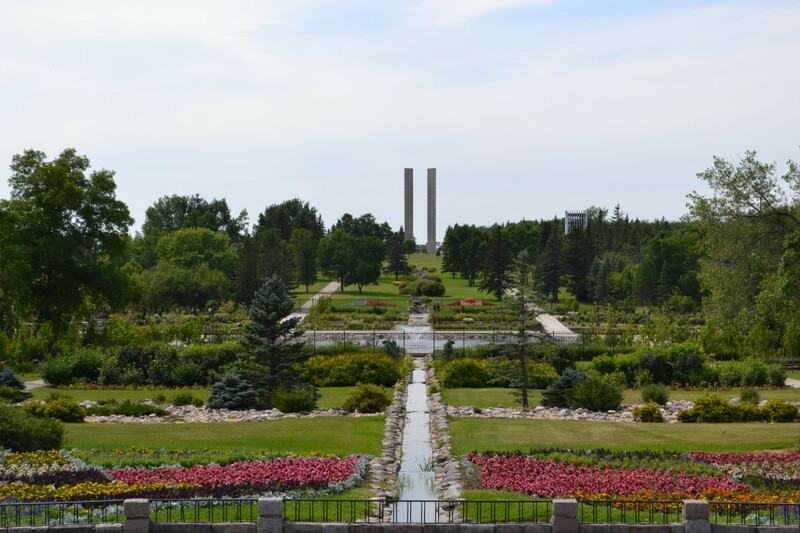 The Peace Gardens something of a rite of passage in North Dakota, a place every resident should see at some point. The place does weddings, camping, group events, hosts music, offers hiking, wildlife viewing, and a lot more. Just remember your passport since you’ll have to report to customs upon leaving. 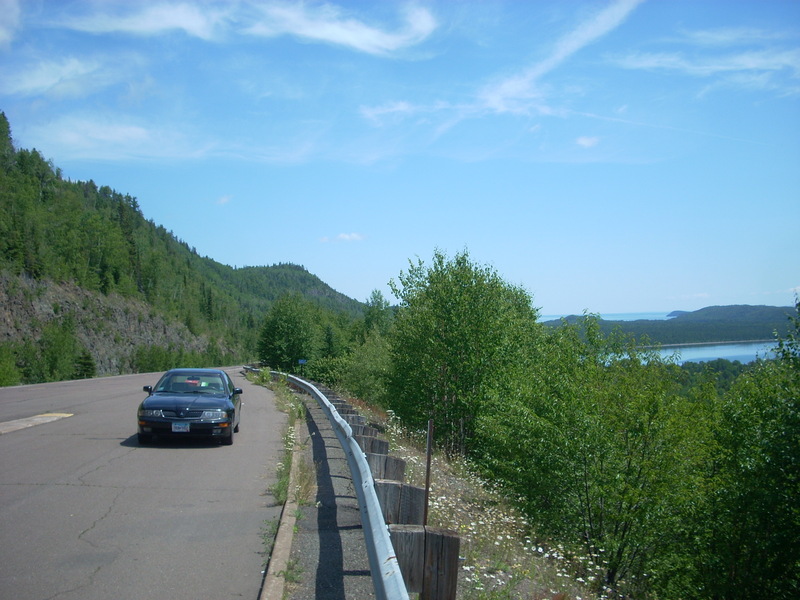 While in the area: Lake Metigoshe, The Turtle Mountains, Sunny the Banana, and Skydancer Casino, to name a few. This entry was posted in Highway Highlights and tagged Garden, ND, Turtle Mountains by Seth5544. Bookmark the permalink. This place is truly a wonderful spot to visit! They restaurant has pretty good food and EXCELLENT ice cream.